Your stove is something that tends to be used daily because it is where you prepare most of your meals. That is why it is important to maintain a fully functional stove at home. If your stove acts up, sometimes repairs may no longer suffice, and it becomes time to buy a new one. When buying a new stove, there are several considerations that you need to remember in order to find the perfect one. Though there are many stove selections available, you need to find the one that best suits your needs and that fits well with your home. Electric or gas. There are two types of stoves: electric and gas. The difference lies within their energy sources, as well as how you are able to control the heat of your stove. Though both have benefits and drawbacks, you need to consider how you will be using your stove and how convenient it will be for you to access a particular energy source. Consider the space where you will put your stove. It is not enough to search for a new stove and buy one that is attractive to you. You also need to consider whether or not the stove fits the space where your existing one is located. You want it to look like it was meant to be there and that it’s not too big or too small. Have a budget. Stoves can be quite expensive, especially if you want added features. So, you will have to be proactive in being sure you stay within a comfortable price range. Setting a budget will help to guide you in determining which type of stove is convenient for you financially. You don’t want to end up buying a multi-functional stove that will keep you in debt for several months. Think about the features you want. Will you need an oven to go with the stove? Or, will simply a gas range do? Will you need a feature that keeps your food warm without drying it? There are a number of added features on stoves these days, but they do come with a price. Choose wisely when determining what you actually need and don’t spend money on things that sound exciting in the moment, but that you won’t really end up using. Choose a good color and design. When searching for a new stove, there will be a lot of colors and designs to choose from. Select the perfect stove based on how it will complement your existing kitchen design. 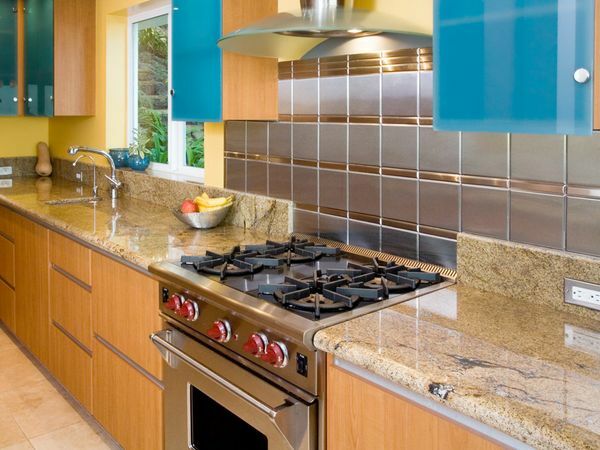 Make sure that the color and design match your existing kitchen decor. Compare different brands. Brands offer a lot of promises and some are already guaranteed by consumers. When you think of a kitchen appliance, consider the brand as well. Many brands have been around for years and can guarantee you long-lasting service and high-quality products.